Heartland Brewing Company | Oh No! Not Another NYC Food Blog! Large brewery & pub right off of Union Square. 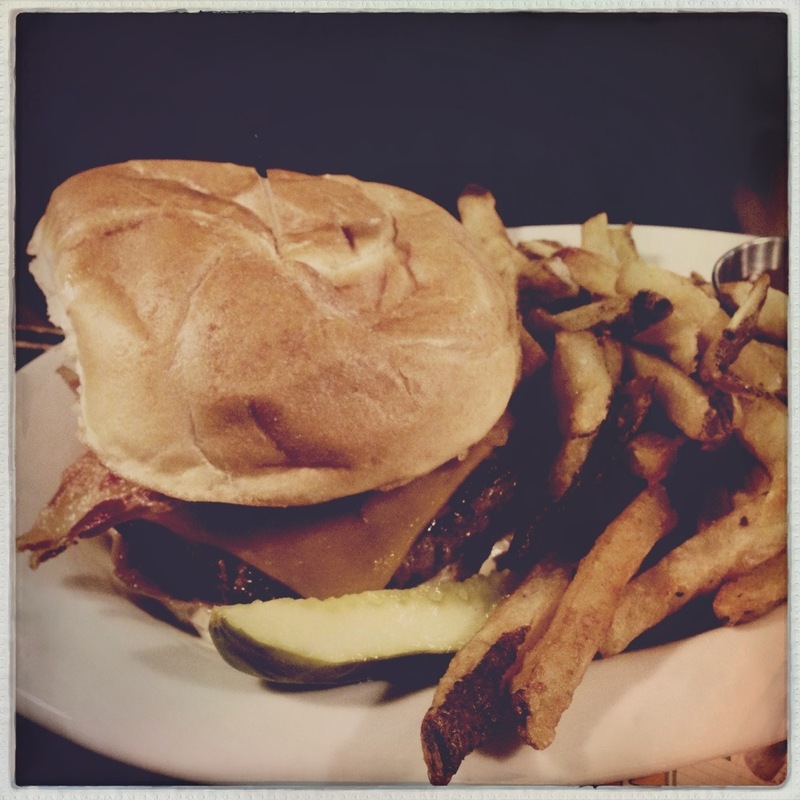 My DH had the Heartland Big Bite Burger – angus beef with aged cheddar and applewood smoked bacon. Juicy and tasty burger, limp bacon and nice fries. 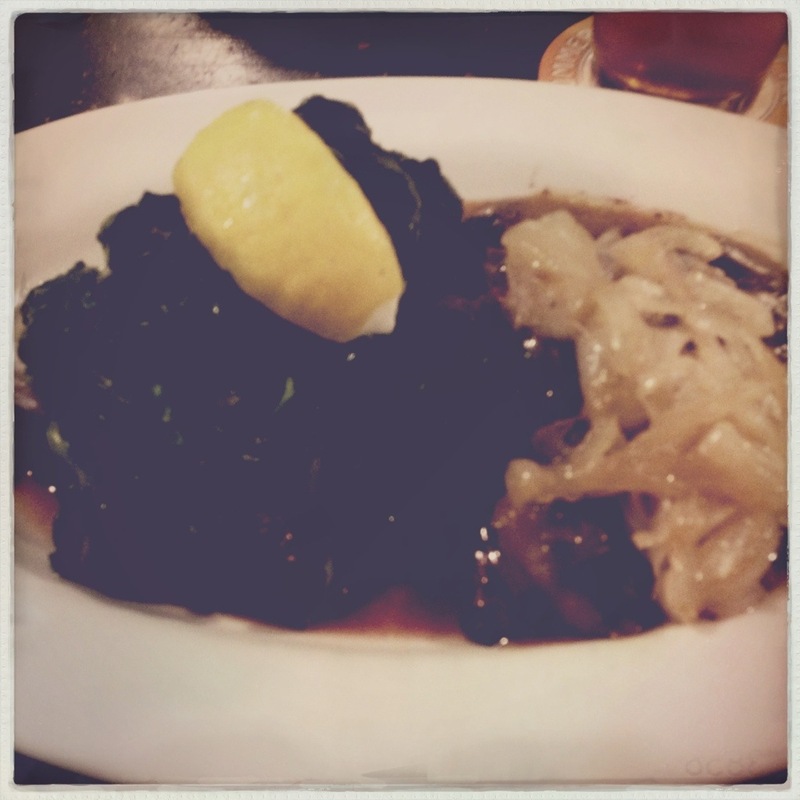 I had the Smothered Steak – black angus steak covered with mushroom & onions and a side of sautéed spinach. Overcooked steak (ordered rare, got medium-well) but still juicy with nice Worcestershire seasoning and grill flavoring, good mushrooms & onions, and a metric ton (almost 2 cups) spinach. I was in spinach heaven. 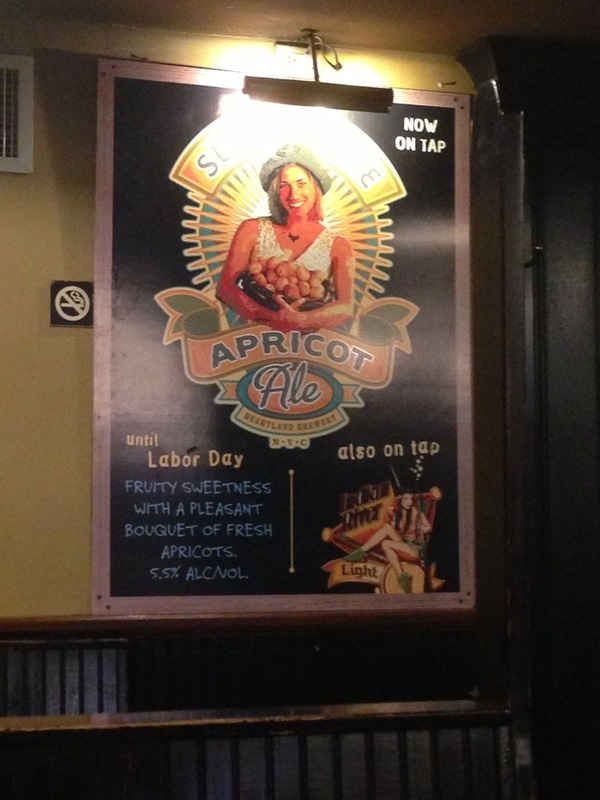 We also had the house-brewed Summertime Apricot Ale and Not Tonight Honey Porter, both of which were nice. Black wood, exposed brick, lofty open spaces over the beautiful old bar and brew tanks in back. Not a bad place to grab an unfussy lunch or drinks. 3.75 out of 5 for good for what it is pub food with a great selection of house brews – and plenty of room, to boot.